I grew up in a place where my family drove past three or four churches to get to the one we attended. Unconsciously, I absorbed a type of pride in the way we did things in our church and sometimes made comparisons with kids in my school who attended those other churches. Perhaps I was just a budding theologian. When I was a child, I thought as a child…but now that I’ve become a man, have I put away childish things? Having spent most of my adult life in the Arab world, my reflections on the church—its distinctions, denominations—have changed. My sojourn in Egypt was the best ecclesial education I could have ever received. Not only was it the home of the ancient Coptic Orthodox Church established in the first Christian century through the apostolic ministry of Mark, but it also held an impressive array of Protestant denominations—Presbyterians, Baptists, Pentecostals, Brethren, Methodists, Church of God and I could go on. There was also a smattering of Anglican and Roman Catholic churches, all this in the mix of a society that is about 90% Muslim. It was in Egypt that I first began to grapple with the missional implications of a fragmented church. I use this word “missional” not only in the narrow sense of evangelizing and establishing churches, but in the broader sense of a full-orbed ministry of the church including reconciliation, healing, education and development. In Egypt, I quickly realized that most Muslims would intuitively look to the Coptic Orthodox Church to understand what the Christian gospel was all about. After all, the Copts were about 8 million strong, compared to the ½ million Protestants scattered over a smorgasbord of small local churches. I became aware that the Copts viewed the newly arrived Protestants (mid-19th century) as “sheep stealers” given that the vast majority of Protestants had left the fold of the Coptic Church. This combative attitude was often reciprocated by the Protestants resulting in bewilderment of onlookers including those who desired to explore the Christian faith. One chapter of Egypt’s history is revealing. It concerns the advent of Islam in Egypt. Until the seventh century, Egypt was virtually 100% Christian, but the Egyptian church’s view of the nature of Christ was outside the bounds of orthodoxy as defined by the Council of Chalcedon (451AD). Although the doctrinal issue was significant, it seems the real issue was one of church politics, complicated by semantic and linguistic differences. The Byzantine Church—the Church of the Roman Empire headquartered in Constantinople at that time—was flexing its muscles and had installed a non-Egyptian, puppet patriarch in Egypt named Cyrus (631AD). As a result, Benjamin (623-665AD) the beloved Egyptian Patriarch, was forced to flee to a desert monastery and remain there until the Muslim invaders expelled Cyrus in 641AD. Benjamin returned to the delight of the Egyptian people and all Byzantine churches were handed over to the Copts who initially viewed their new Muslim overlords as preferable to the oppressive Byzantines. The church’s political and doctrinal divisions did not cause, but did facilitate the Islamic advance. Lebanon, my current home, provides yet another vantage point from which to observe Christ’s body. Here we have an array of church diversity from Maronites loyal to Rome to Greek Orthodox to those pesky “sheep-stealing” Protestants (I am one, by the way) with our ability to endlessly spawn new denominations. The ancient churches look to Antioch where Jesus-followers were first called “Christians” (Acts 11:26) as their spiritual taproot. Antioch became the center from which Christianity radiated eastward. At least two of the church branches flowing out of Antioch were again beyond the pale of orthodoxy as defined by the church councils. Difference of language further complicated mutual understanding. We know little about these Eastern churches,  but we should at least know that at one point in time this eastern flank of the church represented more than one third of the global church, stretching from Jerusalem across Asia into China—lands that today are largely bereft of Christ’s church. Were the so-called “heresies” of these churches real or just a failure to color within the lines of the ecclesial power-brokers? Those who have studied the situation most carefully see it as the latter. He tied the belief of the world to the oneness of His followers. The sore spot of church division has become infected and spread throughout the whole body. No easy solutions here, but could we start by listening to each other…really listening? The Middle East, with all its denominational diversity, is a great place for that to start. Friends from Egypt tell me the scene is changing there. Political and social unrest has produced a desperation in the church that is generating a front of united prayer amongst Catholics, Protestants and Orthodox. It seems the church there is learning that it may not have to renounce its distinctives in order to simply join hands with others in humility. Perhaps it is not too late to learn that our mission of presenting Christ outside our walls is determined by our mission of reflecting Christ inside our walls. 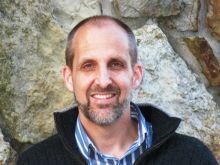 Mike Kuhn serves as Support Faculty for the MENA Christianity Module of IMES’s MRel in MENA Studies degree program. Mike and his family have spent over 22 years in France, North Africa and the Middle East working among Muslims and Christians. Antonie Wessels, Arab and Christian: Christians in the Middle East, Kok Pharos Publishing House, the Netherlands, 1995, p. 131. I am speaking here of 1) the West Syrian church (referred to as the Jacobite Church) which rejected the Council of Chalcedon (451) preferring to refer to Christ’s one nature (human/divine) and 2) The Assyrian church of the East (often mistakenly referred to as the Nestorian Church) which rejected the Council of Ephesus (431AD) and holds to a dyophysite view of Christology. Eusebius is the historian to whom we are indebted for our knowledge of church history prior to Nicea (325 AD), but he wrote only of the churches in the Roman empire and subsequent historians have followed in his train. Jenkins, Philip. The Lost History of Christianity: The Thousand-Year Golden Age of the Church in the Middle East, Africa, and Asia–and How It Died. HarperCollins, 2009. Mike, Thank you for sharing with us this deep observation. Praying to The Lord to help us learn how to focus on Him at all times, and not just wait hard moments and be forced to do so. Oh wow wow, Mike! This was really wonderful to read. Your grasp of the cultural and denominational variety in the region is excellent. You are one of us. You are not an outsider who just came and lived here. Thank you for an excellent piece. Excellent post! I am currently on the journey toward Orthodoxy and am feeling the lack of unity from a whole other perspective. I love those words from John and I wonder how this prayer will come to fruition but I think these words “It seems the church there is learning that it may not have to renounce its distinctives in order to simply join hands with others in humility.” are one of the keys. Thank you Mike. Mike, Wonderful piece. Would love to add a profound comment, but you have covered the bases pretty well and left me speechlessly satisfied. Am more convinced every day that God is more pleased when our study and practice leaves us “wowed” by Him more than “understanding” Him or figuring Him out. He frequently exhorts us to fear, exalt, and worship Him, He never seems to expect us to understand or figure Him out. Standing in awe draws us together, our attempts to define Him or His ways, mostly diminish Him and lead to division between us. Really appreciate this view point and am thankful that you have put this out for us to be challenged and inspired. I have a hope this is true… “Perhaps it is not too late to learn that our mission of presenting Christ outside our walls is determined by our mission of reflecting Christ inside our walls.” Joining these hands in humility with you!